delivers jaw dropping holographic projection technology to your door. 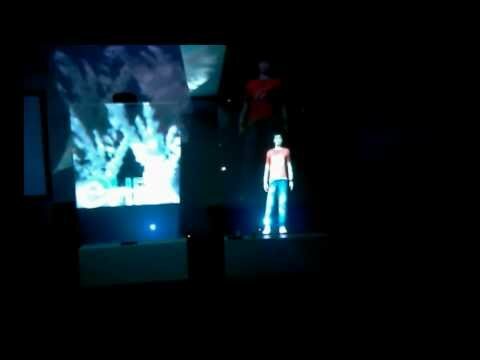 These holographic displays are perfect for conference venues, large-scale exhibits, live product launches and television events, your audience will marvel over full-scale virtual holographic projections that seemingly ‘float’ in the air. The sharp and spectacular hologram is created using film technology that reflects images from a high-definition video projector. Using specialized software, we can configure an image any way you like to deliver a truly dazzling stage spectacular. The Holographic film is available off the roll at 1520mm wide. Provides holographic screens in a range of sizes. Can be integrate with touch screen technology. Is easy to install and operate.